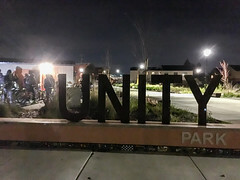 I had some unscheduled time, so I hopped on my unicycle to go check out the new Dirt World bike park up in Richmond, which is an interesting project which reclaimed a rough area of Richmond near the tracks. 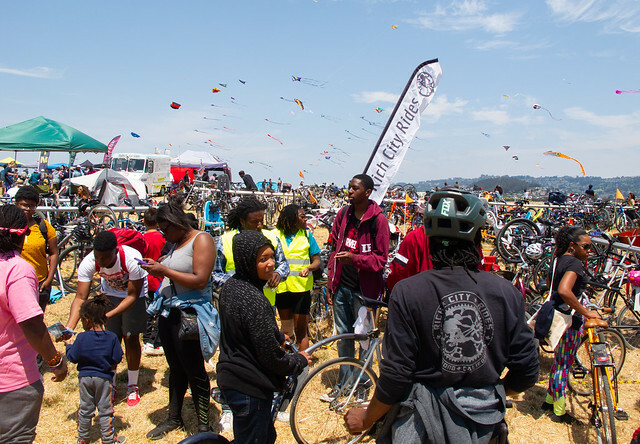 But on my way there, I was fortunate enough to run into a group of cyclists with a sound system blasting a Jackson 5 remix; this turned out to be the weekly “Self-Care Sunday” social ride from Rich City Rides, and they were on their way to the Berkeley Kite Festival. 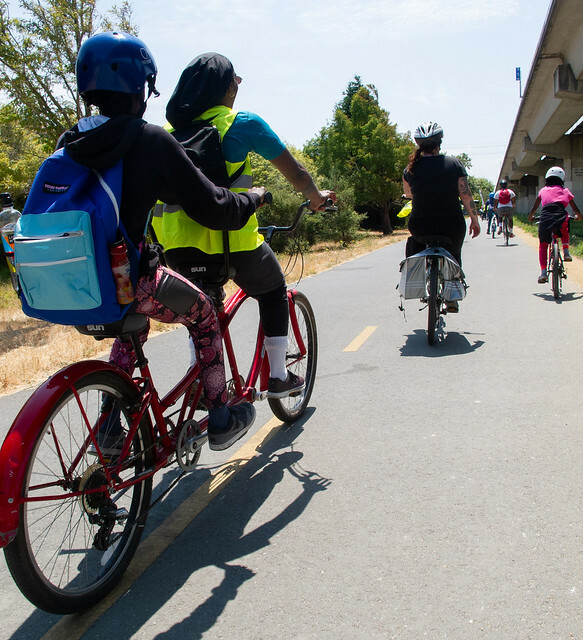 I altered my plans to join them on the ride through town and along the Ohlone Greenway. 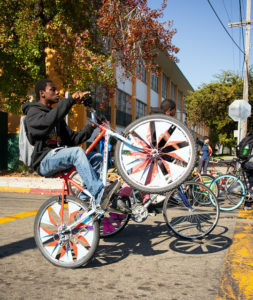 One of the things about riding a unicycle is that it changes social interactions. 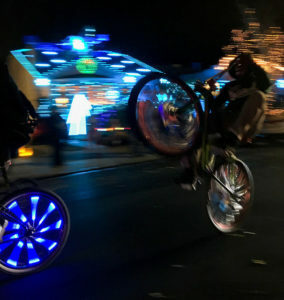 Instead of people thinking “who is this white dude?”, they think “who is this crazy white dude on the unicycle?” That’s an improvement; it breaks down barriers and makes for more open conversation. 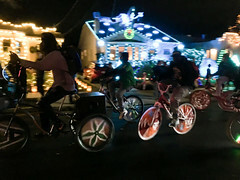 There were about 20 cyclists on the ride, ranging from seniors to babies in trailers. 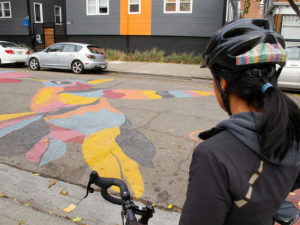 Most were people of color, and most were not confident cyclists. The group support allowed them them to do the ride, which was probably bigger than some would have thought possible; it probably came in around 20 miles. 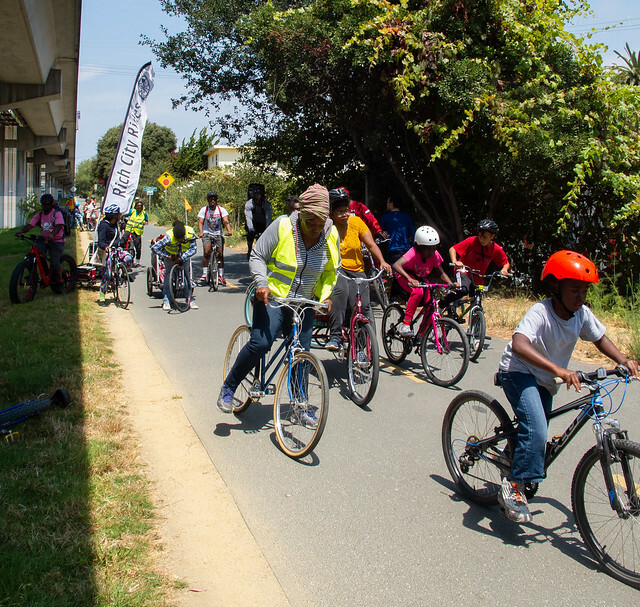 Rich City Rides understands that sedentary lifestyles lead to debilitating, devastating and preventable chronic illnesses that plague our community with obesity, heart disease, diabetes and depression. 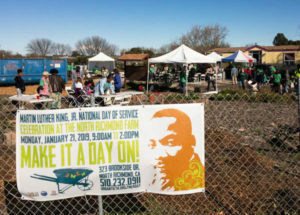 We have worked tirelessly to combat these preventable slow death sentences by daring to redefine physical activity as cool, and by reconnecting disconnected neighborhoods instead of encouraging divisions. 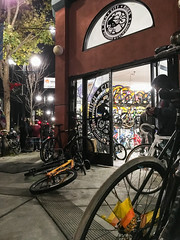 I really resonate with their idea of the bicycle as a two-purpose tool: one, cycling can improve community health outcomes, and two, cycling can physically and socially connect communities which are otherwise separated. 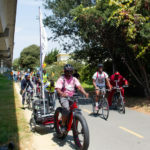 That connects with Enrique Peñalosa’s vision for Ciclavia, which is an event grounded in equity and access. Very different than the street closures we do in the U.S., which are grounded in economic development. 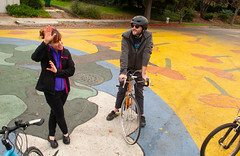 It was a lot of fun to ride along, and there are more conversations to be had. Tom! 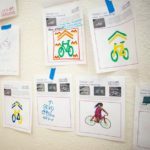 Love the bike-lab.org! Haven’t seen it until now. Keep up the good work, and we should go on a ride soon!